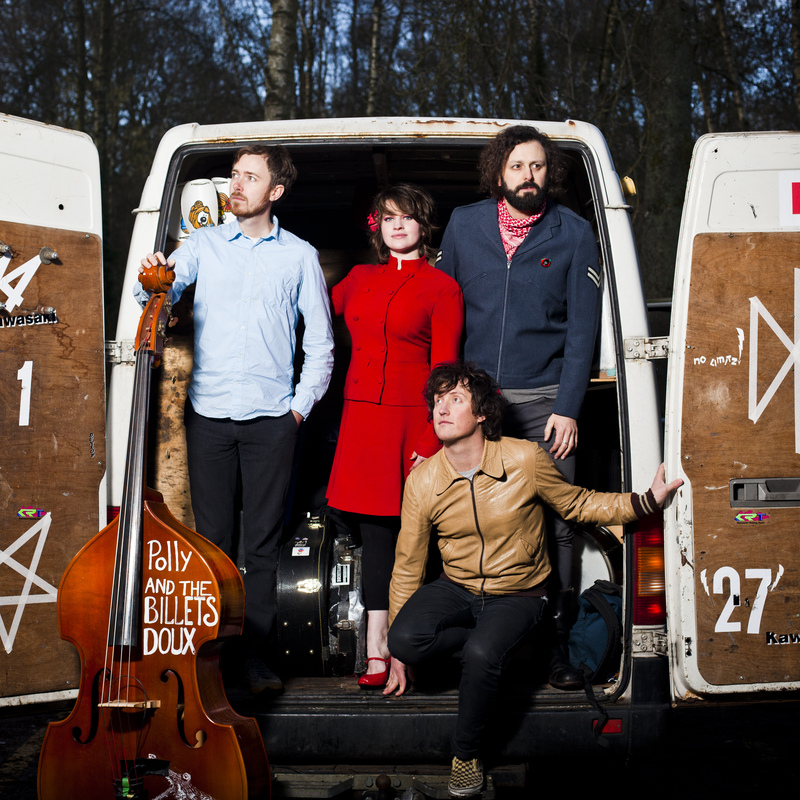 Van Go: Polly and the Billets Doux arrive at their next destination. Polly Perry, lead singer of Polly and the Billets Doux, is on a train somewhere between Devon and Hampshire, heading back from a weekend of fossil hunting. Yes, fossil hunting. Not very rock’n’roll? Well, there’s plenty more of that deviant behaviour to be revealed as we carry on our conversation. But while her band’s leisure-time pursuits hardly rival those of Led Zeppelin or The Rolling Stones in their prime, it’s just how this South Coast outfit like it. As I was about to find out, you’re unlikely to read about the off-stage antics of Polly and the Billets Doux in the court listings or annals of Music Babylon. The 31-year-old singer had just left Axminster, changing at Basingstoke before a return to Winchester after a weekend with a few girlfriends on England’s Jurassic Coast. Any success from her expedition? Very considerate, if not the stuff of legendary rock anecdotes. But then why should it be? After all, Polly heads a band that prefers to do its performing on the stage. Polly has no idea of the exact number of dates her quartet have performed, but lets on that last May alone they did a staggering 36 gigs. Then came heavy schedules in Ireland and Germany, and you can factor in regular UK dates and several festivals. Currently, things seem a little less frenetic, although they’re part-way into a 16-date tour that started in Wellingborough and ends with Middlewich’s Folk and Boat Festival on June 20. This Friday (May 29) they’re sure to be charming a whole new clientele at Preston’s Continental, my excuse for catching up with her, and they’re back in the Red Rose county within four months for the Fylde Folk Festival in Fleetwood (Saturday, September 5). I’ve been listening to their second album, 2014’s Money Tree, recently, and they certainly offer a whole swathe of musical genres over 12 impressive tracks. That’s only part of the story though, the band having first charted at No.17 on the BBC Radio 1 indie chart with their Head of Steam EP back in 2008. That was followed a year later by often-exquisite debut album, Fiction, Half-Truths & Downright Lies. Then there were the mighty-catchy Follow My Feet, Cry Cry and Hold Fast singles, then Money Tree last year, with the band now set to release new single, Tourniquet, and a whole lot more material coming our way soon. I put it to Polly – carrying on our conversation with a far better mobile signal on her arrival home in Winchester after several curtailed attempts – that there seems to be a marked difference between the albums. “Both albums have very different sounds to them. We consider the first a bit lighter, and the earlier material slightly polite, whereas we wanted the second album to sound a bit more live and kind of gritty. And are you working on a third album to follow that forthcoming Genepool Records release? So is the live set they’re bringing to Preston a trawl through both albums, the singles and the newer material? “I’d say so. We start off with some of the singles, like Cry Cry and Follow My Feet, but our songs are so diverse and in so many different kinds of style. 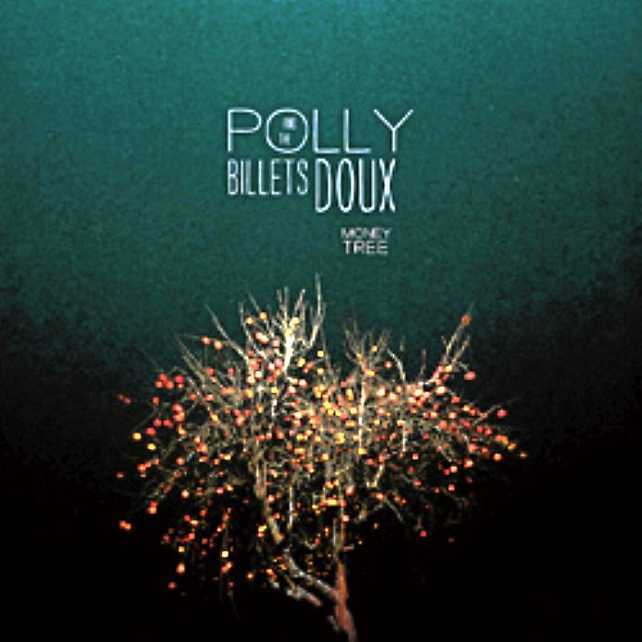 It’s certainly difficult to categorise Polly and the Billets Doux. They seem to veer from blues to country, from folk to soul, from gospel to rock’n’roll. If you love good guitar and fantastic vocal performances, driven by quality stand-up bass and percussion, you’ll be made up. Just don’t try and stick a label on them. They call their style genre-defiant. I’d go for genre non-specific. And it all comes with a quintessentially English twist. For example, straight away on Money Tree they put me in mind of early Fleetwood Mac on bluesy opener Black Crow then Norah Jones on the more whimsical, dreamy Stories of our Own, amid a variety of guitar and percussive styles. Then there are touches of others, even including Dido in places. Am I even close? “That’s good! You’ve named some people I really love and a few others have stated. Calico Blankets was one of the first songs to jump off the deck at me – a bit of country noir in the tradition of Emmylou Harris and co, but definitely homegrown. “Now you say that, I can see the fit. But rather than thinking, ‘Let’s write a country song’, we just start writing and they end up what they are. There’s even a very French feel, one you might associate with the band’s name, on the gorgeously laid-back closing track Old Virginia. Meanwhile, The Fallow Road is a favourite, with more of a breathy blues crossover thing going on, and the band kind of laid-back funky, all in a South Downs setting. I could even hear Faces-era Rod Stewart having a go at it. And in the same way Rod was a big Sam Cooke fan, it appears that Polly likes her gospel music. You mention that growl, and there’s a bit of that on the recordings, not least on Money Tree‘s title track. In fact, it’s best you don’t hold your pint glass too hard while they’re playing that at the Conti or any other dates on this tour. Polly certainly has an impressive voice on her, whether via more breathy treatments or the other end of the spectrum, often under-stated but perhaps all the more powerful for that when she does let it rip. Are they getting closer to what they’re trying to convey, or do they remain a band of split personalities? “I think we’ll always remain a band with split personalities! We all love so many different kinds of music, and I like it that we bring in so many genres. Apparently, the band debuted in a smoky Winchester venue backroom in 2006. That seems to age Polly and the Billets Doux’s story slightly, making me realise how long it’s been since the UK smoking ban came in. “Yes, that first gig was in the back room of our local venue, The Railway, and we didn’t have any amplification. “I booked the gig before having songs, but got that together for the gig and we just belted it out in the middle of this room, having not quite sorted out pick-ups. Has it been the same foursome from the start? “Yes, we’ve never been one of those bands who get another drummer or whatever. We lived together, and the other guys were in a rock band. Oh dear, she’s off again. That doesn’t sound very rock’n’roll either, Polly. Very wise. I should really introduce the rest of the band there, lead vocalist Polly, just about the youngest in the band, joined by Andrew ‘Steeny’ Steen (lead guitar, vocals) Dan Everett (double bass, guitar, vocals) and Ben Perry (drums/percussion). “We all met in Winchester. Dan came here to go to art college, Steeny came down from Ulverston to study archaeology, ending up doing English literature and excelling. Of course, she is opening herself up to misspellings from promoters with that band name too. Are they already turning up at venues to memorable misnomers? Bear that in mind, Continental staff. So is this your first gig in Preston? Did Polly’s musical genes perhaps come from the Northern side of her family? “Yes, my Nana was a singer during the war, and was always singing. When I was growing up she used to sing sentimental 1940s songs, so I did too. 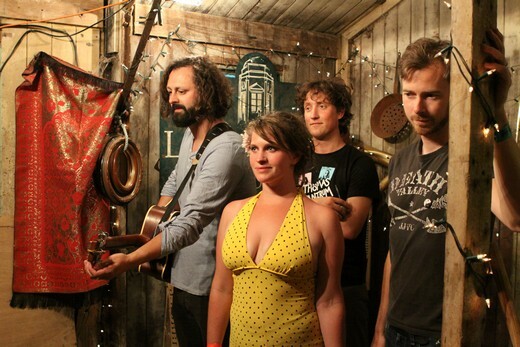 So what can your audiences on this tour expect from Polly and the Billets Doux? I can imagine you going down well at festivals too, and that’s proved to be the case so far, not least at Glastonbury, Loopallu, The Big Chill, Secret Garden Party, Larmer Tree, Wychwood and the Cambridge Folk Festival. Has Polly any particular highlights from that summertime circuit? 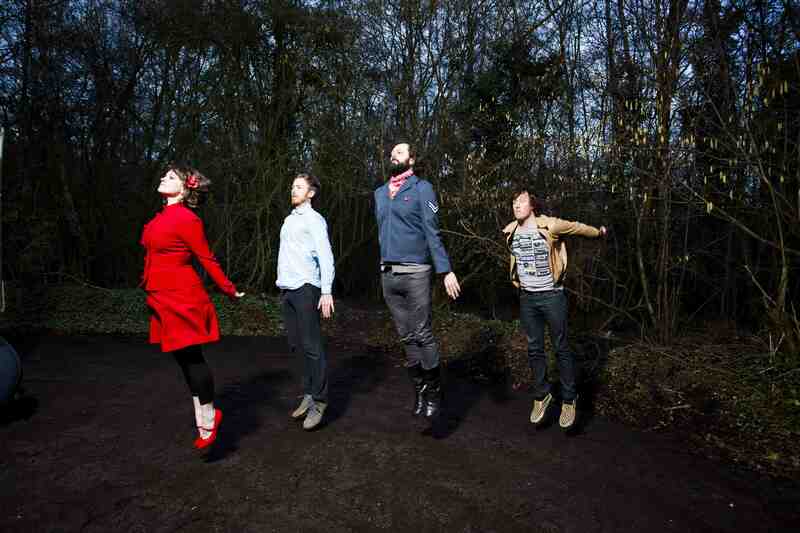 “Playing Glastonbury has been quite an amazing experience, and we’ve played there three times now. “Then there’s the Loopallu Festival in Scotland, another of my favourites, where it was absolutely pelting down with rain and we had a caravan next to Mumford and Sons’ caravan. “Each band, when it was their turn to play, had to just run for it on to the stage. You’d just see the caravan door opening and the next band running for the stage. En route, there’s been plenty of love for the band on the airwaves, including a fair few plays on BBC Radio 1, 2, 4 and 6. And the band has earned plenty of support on those stations, not least from Whispering Bob Harris, Terry Wogan, Tom Robinson and Cerys Matthews, the latter perhaps another key influence on Polly. “We did a live session for Cerys, and I’ve always really liked her as an artist and really love her show too. She plays some great stuff, so I was proud to be on there. And with thoughts of Sir Terry, I leave Polly to it, safely home by now – the first part of our conversation curtailed by poor carriage mobile phone reception. At that point, she was set to enjoy a couple of days off before her next batch of live dates, and closed by telling me how much she was looking forward to ‘getting back on the allotment’. 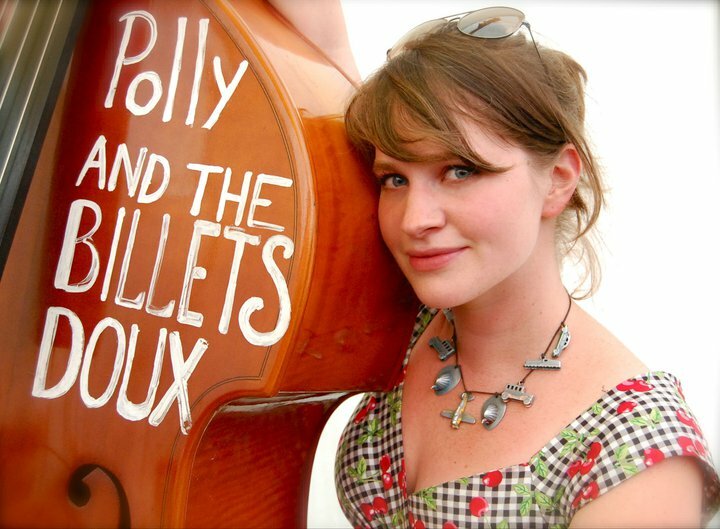 Ticket details of the Polly and the Billets Doux visit to The Continental in Preston (Friday, May 29) can be found here. For more about the band and further dates on this tour and throughout the summer, head to their facebook page here, or follow them on Twitter here. Finally, for a few examples of the band’s past output via YouTube, try here, and for more about Songs from the Shed, try here. 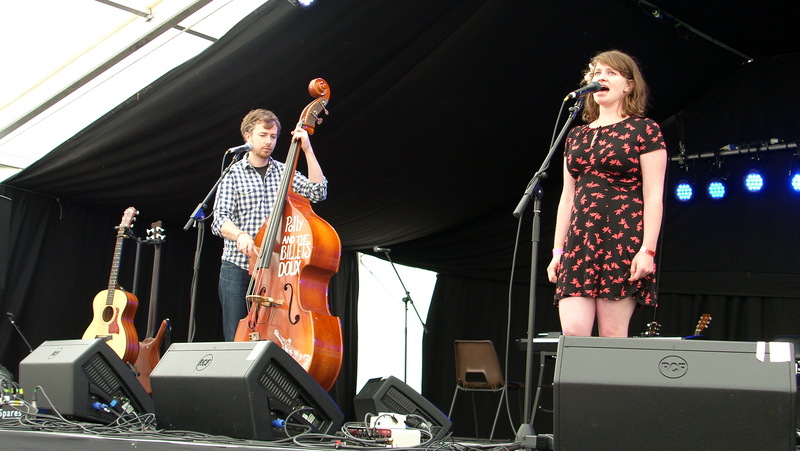 This entry was posted in Music and tagged Carys Matthews, Charmouth, Fleetwood Mac, Fylde Folk Festival, Glastonbury, Half-Truths & Downright Lies, iction, Loopallu, Money Tree, Mumford and Sons, Norah Jones, Polly and the Billets Doux, Polly Perry, Preston, Terry Wogan, Winchester. Bookmark the permalink.